Onions are a food that a lot of kids who are picky eaters have challenges eating. Crunchy, slightly acidic, tangy, onions have a flavor that is strong! For that matter a lot of adults who are picky eaters really hate onions. As a parent can be super frustrating, as onions flavor so many recipes. But using this one tip that changed things with my kid, you might just be able to turn family’s opinions of onions around. I’ve also included a few additional parenting tips that help picky eaters learn to come around to onions. Onions seem to be a food that many picky eaters struggle with. As a parent can be super frustrating, as onions flavor so many recipes. To help my picky eater like onions, I started buying sweet onions almost exclusively. These white onions are also called Vidalias, Walla Wallas, Texas Sweets and Mauis in the stores. Sweet onions have a mild onion flavor that is slightly sweet. Sweet onions range from medium-sized to very large. Look for sweet onions that have tight outside skins, are dry and have not obvious dents or blemishes. When cooked, sweet onions don’t have the same flavor bite that a standard yellow or white onion has. 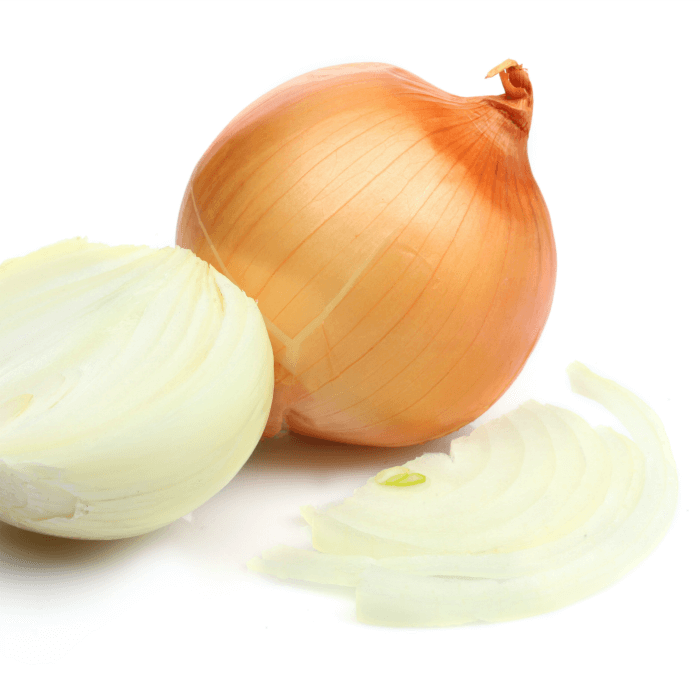 Sweet onions contain less sulfur, which is what gives most onions the pungent flavor. Due to their sweet flavor, you can also get away with just a quick sautee rather than having to fully cook them until caramelized for busy weeknights. To make a good caramelized onion does take an extra few minutes with sweet onions as they have more water than other onions. Sweet onions are delicious and can be subbed cup for cup in recipes such as in this turkey chili recipe. Still struggling with onions? Here are a few other tips you can try to help picky eaters like (or at least tolerate) onions. Many kids are intimidated by large chunks of onion in food, and it can pack a powerful flavor. Try dicing onions extra fine, and then cooking over medium heat for a few minutes until they are translucent before adding them to your meal. 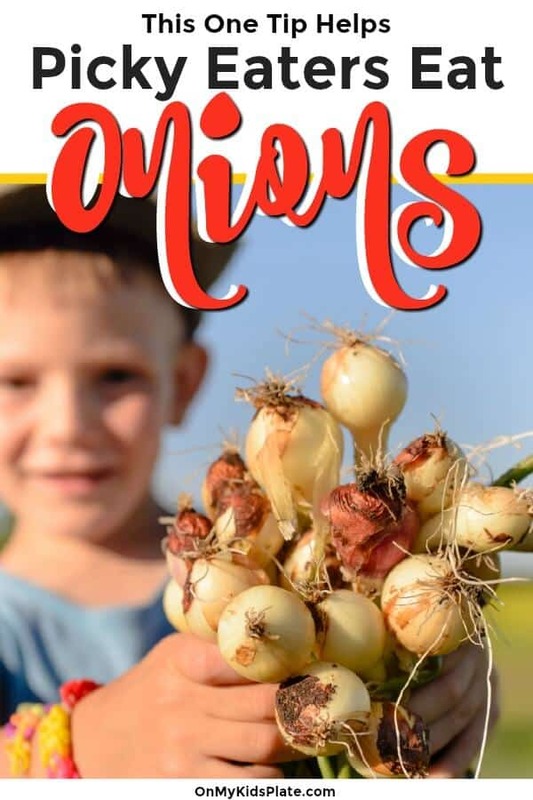 Here are a few other types of onions you can try in your cooking they all have different amounts of bite to them, and your picky eater may tolerate one and not another. Here are a few types of onions to try. Green Onions – Cook with the white bulb making sure to remove roots. Garnish dishes with the green tops. These mild onions are also sometimes called scallions. Leeks– Cook with the white bulk removing the roots. Slice and dice all parts up to the leaves. Leeks also tend to have a mild flavor, but are pretty crunchy and best served in cooked dishes. Chives– Use chives as a garnish diced finally, more like an herb. Chives are great for finishing dishes or mixing a little into cold salads. Purple Onions– These look exactly like white or yellow onions but with a fun purple color. Served raw in salads or cooked in recipes, purple onions have a bite! When I serve purple onions to picky eaters, I try to make sure they have been cooked low and slow so the flavor is less strong. This type of onion is also a favorite in guacamole or pickled at our house. Pearl Onions– Also known as baby or button onions. These small bulbs are great for roasting whole in a sheet pan meal, throwing in the bottom of the instant pot or crockpot, or cooking with a quick chop. Some people also pickle this type of onion. Green Onions and chives are both very easy to grow in pots year round. Encourage your picky eater to help you care for a prep your onions and they may just surprise you. I worked at a deli for a while when I was young, and we cut a LOT of onions for salads, and those suckers can burn your eyes. We’d peel the giant onions, and plunge them into an ice bath for a while, overnight when possible. That cold water helps to take some of the bite out of raw onions and may help with recipes such as garnish for turkey burgers, salsa, guacamole or fresh pasta salad or any recipe where you may include raw onions. Does your family like onions? Do you have a picky eater in your family who can’t stand raw onions? Do you have any tips for ideas that helped? Drop them down in the comments!